A $14 million road improvement initiative is in full swing at Grand Canyon National Park. 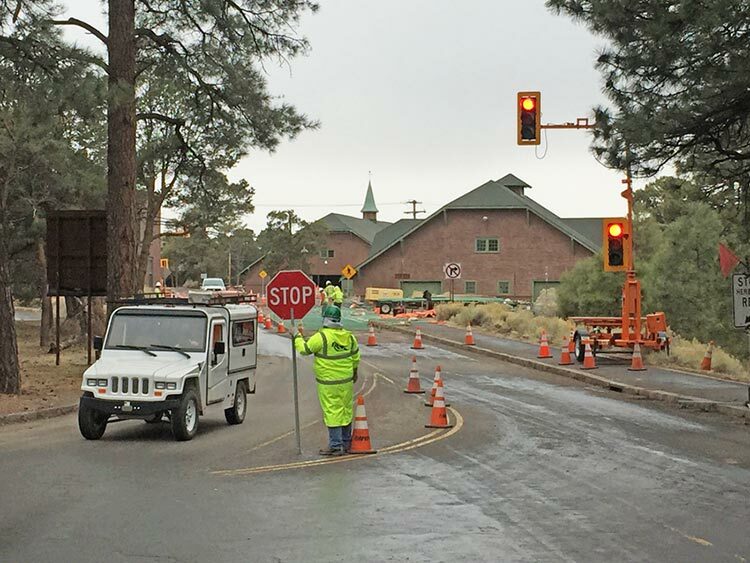 As one component of the 2018 Federal Highways Administration project, major intersections throughout Grand Canyon Village and the Desert View area, as well as fifteen miles of roads, are being repaved. 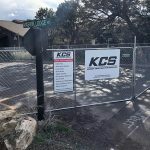 The contractor completing the work, Fann Contracting Inc., of Prescott, Arizona, has crews and machinery positioned throughout the bustling developed areas of the South Rim. The completion date for the project is slated for spring of 2019, though most of the work should be completed by fall of 2018. Aided in part by a mild winter, the crews are making excellent progress. Visitors and locals alike are rolling with the punches as unavoidable serpentine detours are creating traffic bottlenecks and parking woes. 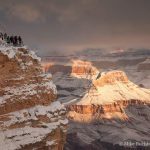 It’s a good idea to budget extra time to navigate the myriad barricades and pylons while planning your visit. Follow this link for the latest updates from the National Park Service, and maps of impacted areas Grand Canyon News Release: South Rim Construction Zones and Projects.